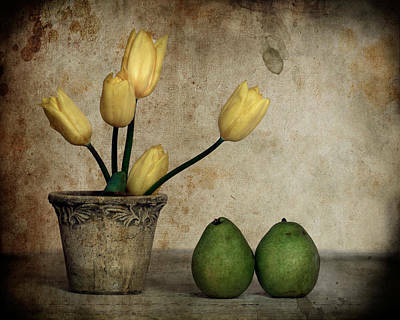 Tulips And Green Pears is a photograph by Levin Rodriguez which was uploaded on January 14th, 2010. 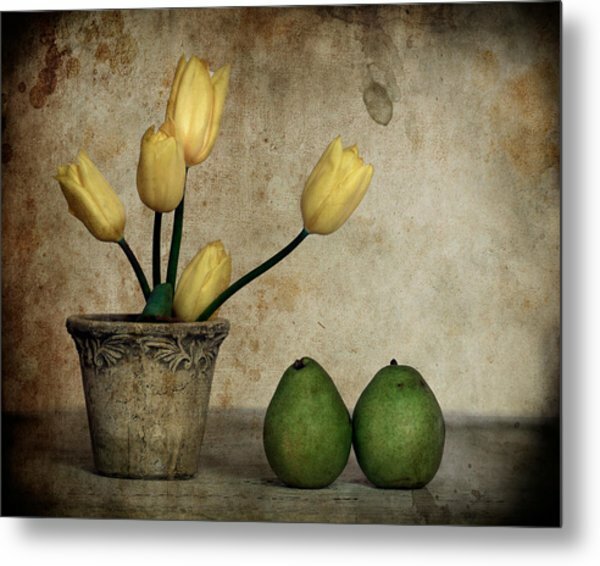 Because its similarity with a oil painted classic still life, the best way to display this photograph is on a canvas print. 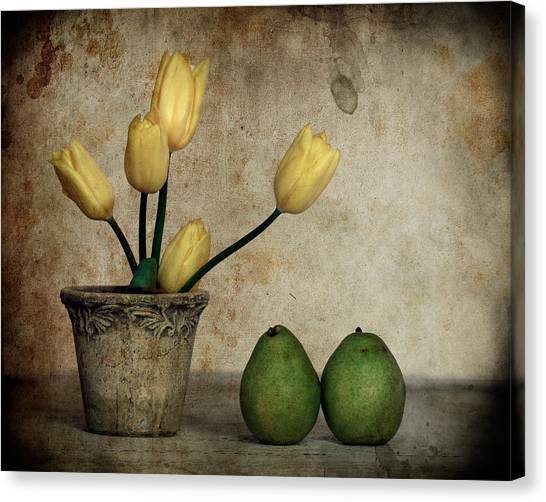 Great compostion and colors. 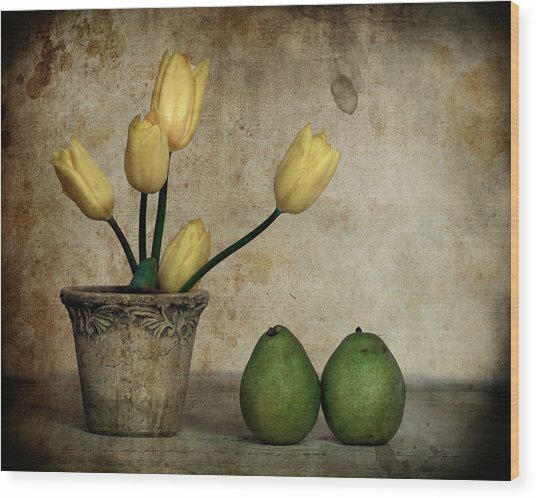 I like the feeling from the added texture. 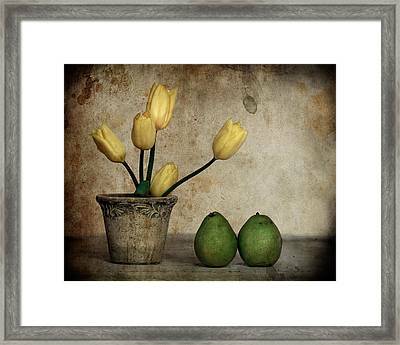 Congrats on your Feature in Still Life Fine Art. 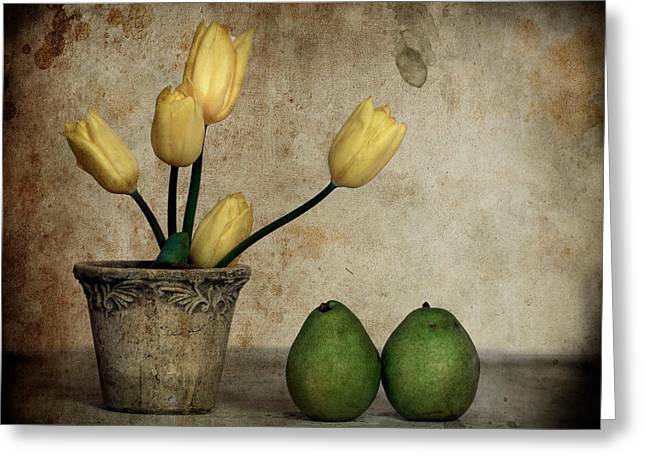 Beautifully composed still life, like the textured effect, Levin. Thanks Sharon, I already joined the Still Life ...not sure about Food Photography though.